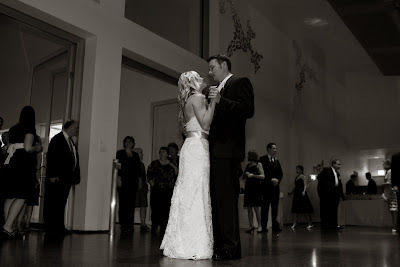 Shannon and Rick were married in September 2008 at St. Luke Luthern Church with a reception at the Museum of Contemporary Art. 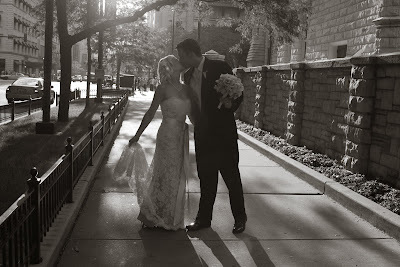 When I first met Shannon, she said that she was confident that her vendors would do a great job. She just wanted to make sure that all the little things were taken care of. Well, there was no need to worry. The day was virtually flawless. All photos are by Monika Lozinska Lee from REM Photography. 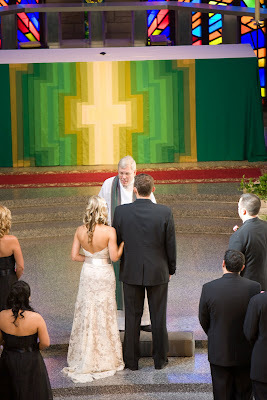 The couple were married at St. Luke Luthern Church. The church has gorgeous stained glass windows in the front of the alter. 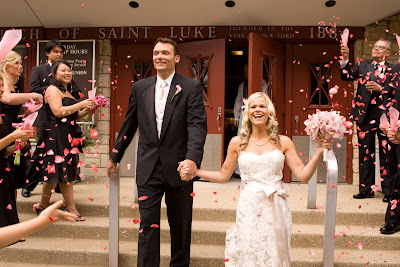 Upon their exit from the church, the couple was showered in rose petals. It was a gorgeous DIY project that looked fabulous! The couple took photos around the city prior to the cocktail hour downtown. 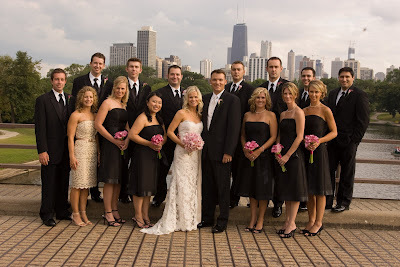 The bridal party went around in a trolley to take photos in the city. 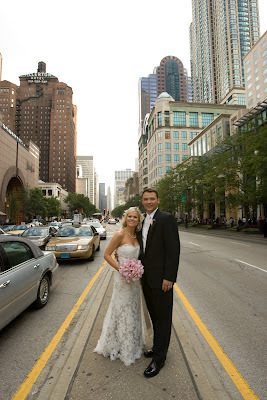 The classic Michigan Avenue pose. In Streeterville, on the way to the Museum of Contemporary Art. 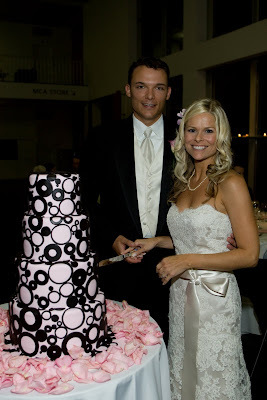 The modern cake by The Cake Girls complimented the modern reception venue, the MCA. 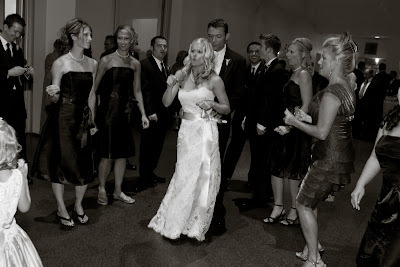 During the 1st dance, guests gathered around the couple in a semi- circle. Stitely Orchestra kept the dance floor packed all night long! 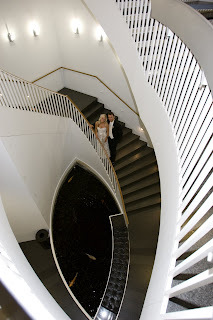 On the spiral staircase at the MCA at the end of the night. 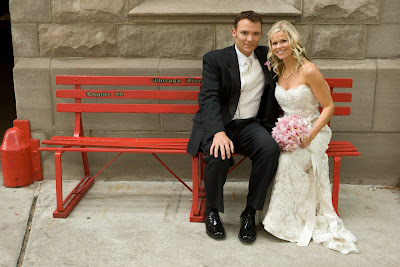 Check back tomorrow for a post about their fabulous wedding details. oh i love all ur pics..